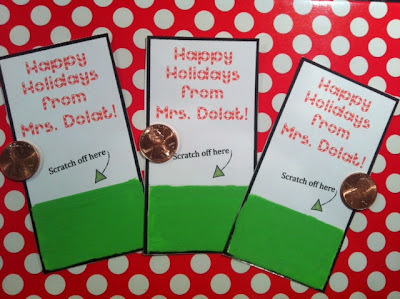 Fabulous 5th Grade Fun: Scratch Off Holiday Gifts! 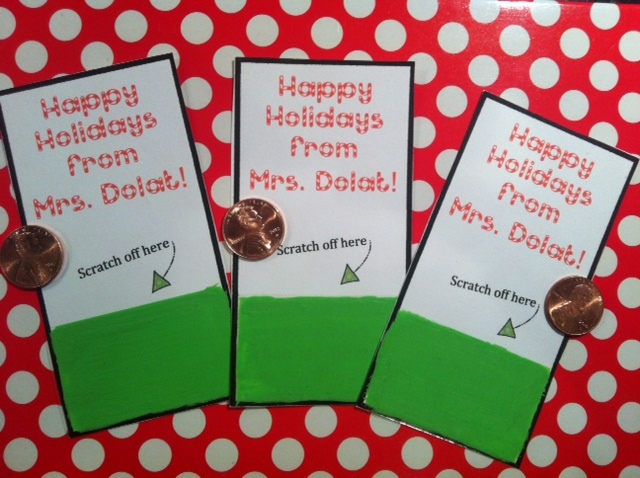 I've been racking my brain for something inexpensive to give my students. I love scratch of tickets! What a great idea! Design your scratch off ticket. Print on card stock. Cut each one out. Lay out each ticket on scratch paper. Cover the scratch off section with packing tape. Mix 2 parts paint to 1 part dish soap. 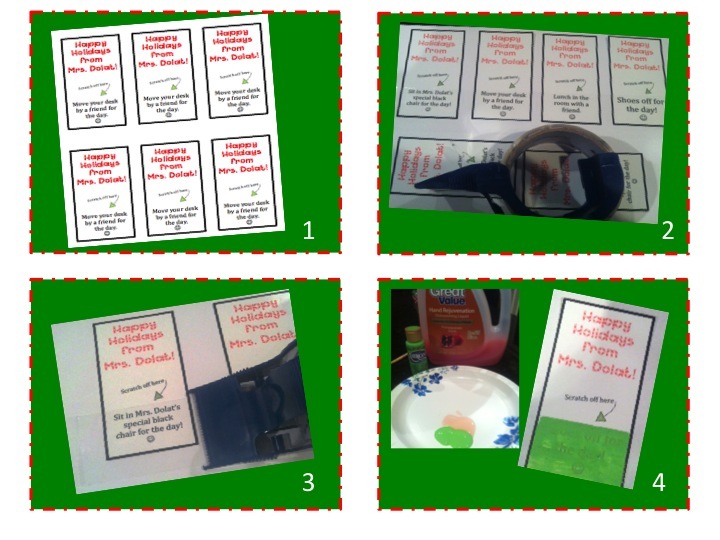 Paint the portion that you want students to scratch off. Use even strokes. It will take 2-3 coats of paint to cover the words. 5. When they are dry, cut them off the paper. Move your desk next to a friend. Lunch in the classroom with a friend. Super fun! Super easy! Super cheap! This is a great idea! I will have to remember it for next year! I am your newest follower! Thanks for following...heading over to your blog! 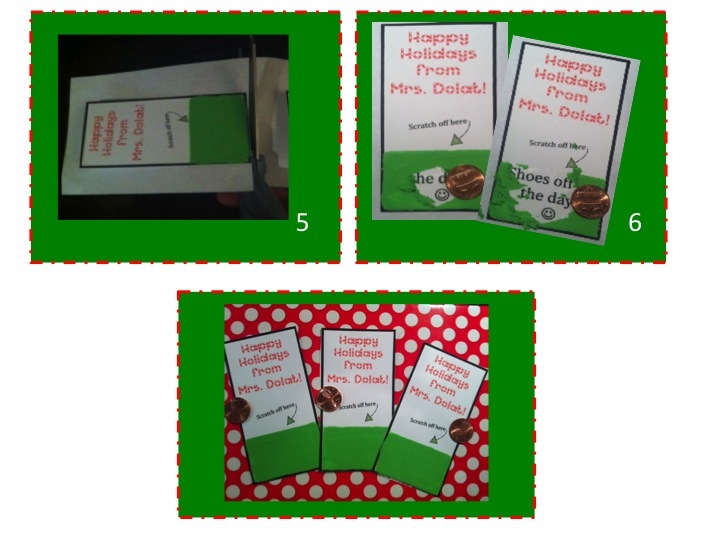 My students went nuts over the scratch offs! You would have thought they had really won the lottery! It was so cute to watch.